Willie Copeland Service Details - Toledo, Ohio | The House of Day Funeral Service, Inc.
Obituary for Willie Copeland Sr. In Loving Memory of Willie James Copeland, Sr.
Willie James Copeland, Sr. was born in Toledo, Ohio on June 1, 1933 to the union of Jesse and Marie Copeland. He departed this life on Saturday, September 29, 2018 at St. Vincent Hospital, surrounded by loved ones. Willie, a dedicated and honorable student, graduated in 1951 from Woodward High School. He was an avid sports participant, excelling in track and football, reaching "Hall of Fame" status. 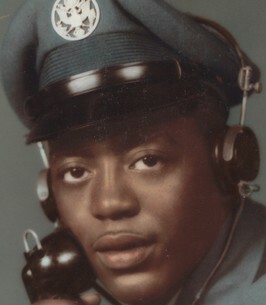 Upon graduation, he entered into the United States Air Force and become one of the very few African-American "Radio Operators" of that time. Willie enjoyed a long term career at BP Oil Company Toledo Refinery and played a major role as a Union Representative before retiring in 1998. Willie developed an intense love of the game of football as a teenager. In an article, in Woodward High School's 1951 yearbook, it stated that "Willie eats, sleeps and talks football". As a passionate sports enthusiast, he was a die-hard Cleveland Indians, Cleveland Browns and Ohio State Buckeyes fan. He held a 40+ year membership with the Elks Club and also loved bowling, watching the History Channel and reading, of which he read the newspaper daily. Willie was preceded in death by his parents, Jesse and Marie Copeland; sons, Wendell and Kevin; grandson, Omar; daughter-in-law, LaVerne; brothers, Robert, Noble (Peter) and Richard; sisters, Eloise, Ruth, Jessie, and Louise. He leaves to cherish his memory, long-time companion, Barbara Carter; daughter, Tracy; "beloved" sister, Rosalyn (Bobo); sons, Willie Jr., Wade (Jeff) and Keith (Marilyn); daughters, Bridget, Mary (Victor), Jamie, Marla, Jaylen, and Mira; 19 grandchildren, 32 great grandchildren, two great-great grandchildren, a host of "endearing" nieces, nephews, other family members and friends. To send flowers to the family of Willie Copeland Sr., please visit our Heartfelt Sympathies Store.